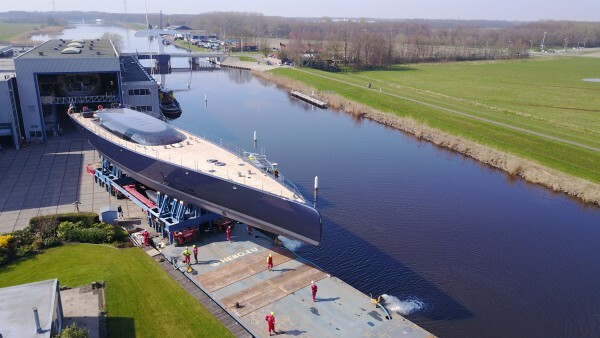 Three years after the contract was signed, the highly anticipated 58m sloop Ngoni has hit the water at the Royal Huisman facility. Formerly known as The Beast and described by the yard’s managing director as “a yacht which embraces the spirit of individuality”, the high-performance sailing yacht has a romantic back story to her conception and design, created by the late Ed Dubois. “Build me a beast. 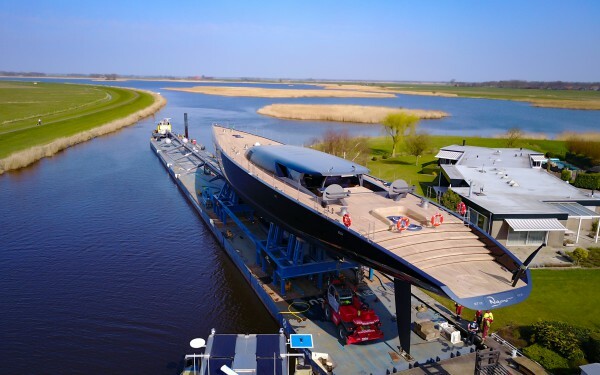 Don’t build me a wolf in sheep’s clothing,” was the request to Royal Huisman from the discerning new owner of Ngoni, and the shipyard certainly didn’t disappoint as the result emerges from the Dutch facility for the first time. 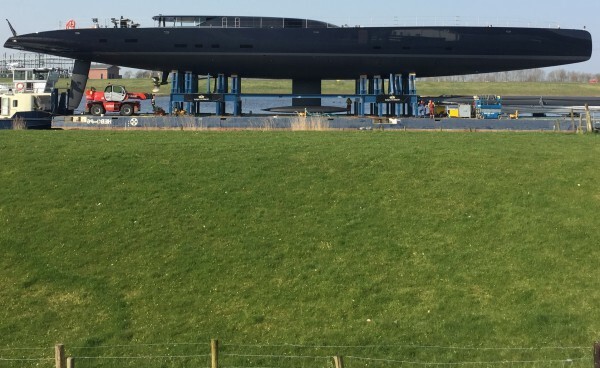 The long and slender hull, combined with a powerful 71m rig demanding high forestay, “requires all the stiffness that advanced engineering can mastermind,” says the shipyard. While the yacht has a simplistic appearance, the most advanced engineering possible at the yard ensures the thrilling high-performance sloop will perform exceptionally, as “a true beast”. 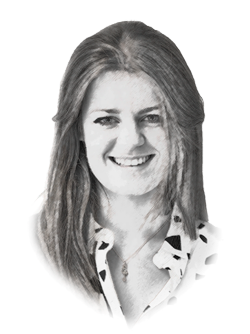 “With Ngoni our philosophy has been that less is more, but you need an owner and a shipyard sharing the same vision,” says the owner’s project manager Godfrey Cray. This is certainly true with the yacht’s appearance, which is wonderfully simple, yet extremely stylish. Although the interiors of the yacht are yet to be revealed, what we do know is that Rick Baker and Paul Morgan are responsible for the interior styling, with signature furniture by Francis Sultana. As the last ever yacht designed by the late Ed Dubois, and with the closure of his renowned studio Dubois Naval Architects, there is an important piece of yacht design history engrained in the lines of the beast that is Ngoni.